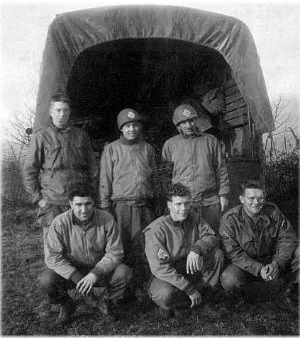 Norman Gautreau, a lithographer and artist from Revere, MA, was stationed at Camp Croft on 1945 for basic training. 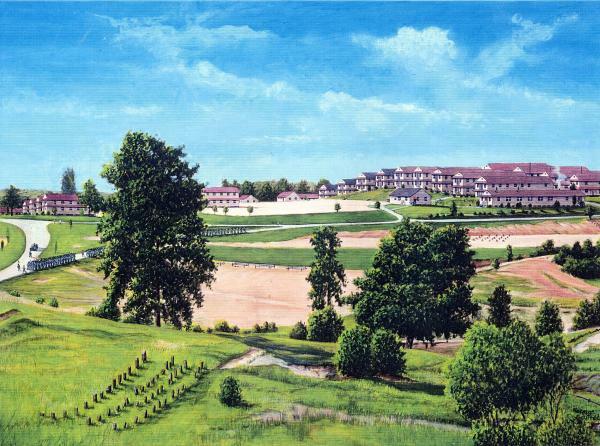 During his stay he was encouraged to keep up his artistic endeavors and found time to paint this detailed watercolor of the 40th Infantry Training Battalion area. The first public showing of his work occurred while he was at Croft and was held at the Carolina Theater in Spartanburg.